Lisa Santwer is the director of marketing and public relations for Comprehensive Cancer Centers of Nevada (CCCN), which comprises more than 550 staff members and 41 oncologists, surgeons and pulmonologists in Southern Nevada. Lisa leads a marketing department of five while overseeing marketing initiatives, business development, advertising campaigns, media/public relations efforts, government relationships, strategic partnerships, community relations, special events and direct referring physician marketing. Shortly after joining CCCN in 2010, Lisa created an entirely new corporate brand identity that accurately positions the practice as the market leader and world-class provider of patient care and advanced clinical research. Lisa’s leadership also extends into her community, exemplifying her dedication to make a positive impact on the lives of her fellow Southern Nevadans. 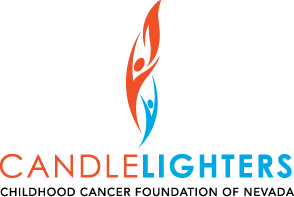 She sits on the executive committee as vice president of the board for Candlelighters Childhood Cancer Foundation of Nevada. She serves on the marketing committee for the Children’s Advocacy Alliance, a community-based nonprofit organization that advocates for the well-being of Nevada’s children. Lisa participates annually in the local Susan G. Komen Race for the Cure®, volunteers for Par for the Cure and supports Three Square. Lisa is a member of the Women’s Chamber of Commerce and was recently inducted into their Hall of Fame. She was recognized by Vegas, Inc. formerly In Business Las Vegas as Top 40 Under 40 in 2009 and was named a Rising Star by the Las Vegas Business Press in 2010. Lisa sits on the communications task force, legislative task force and medical tourism task force for Las Vegas HEALS. 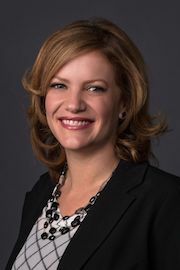 She is a graduate of Leadership Las Vegas, serves on UNLV College of Sciences Advisory Board and is a member of the Business Council for Las Vegas Metro Chamber of Commerce. Before joining CCCN, Santwer worked for Purdue Marion & Associates Public Relations developing sophisticated communications strategies and tactics on local, regional and national levels for clients in real estate, government, hospitality, entertainment, nonprofit and legal disciplines. She successfully secured national media coverage for her clients in major news outlets such as The New York Times, U.S. News & World Report, ABC Nightline, Wall Street Journal and the Discovery Channel. In 2001, Santwer received her bachelor’s degree in Communications from University of Nevada, Las Vegas. In 2008, she became a Master Graduate of Rapport Leadership International.